Acrylic with polymer resin coating on Wood Panel. 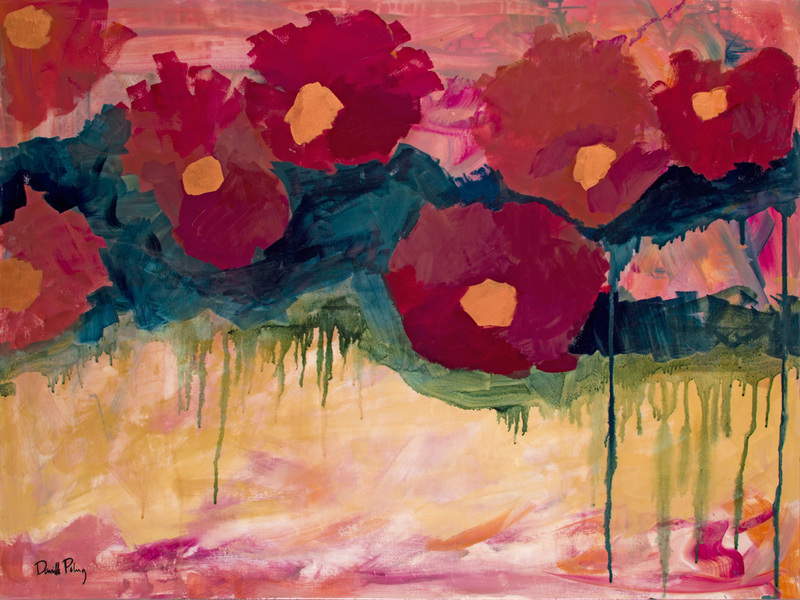 "Red and Gold Flowers" is a painting about releasing control and freeing myself from the trappings of convention. The choice of traditional subject matter (floral still life) is symbolic of my identity as a mother, and how motherhood is often associated with conservative clothing, behaviors and expression. Rules associated with art have loosened up, but rules about motherhood still have a long way to go. The watercolor dripping is part of that rule-breaking, the varied resin surface is also rule-breaking: it's smooth in some parts, gritty in others. This painting has a soulful, romantic energy. 5" x 6.5"7" x 9.25"9" x 12"11" x 14.5"12.5" x 16.5"